Checking what to eat for the Holidays…. …for a better digestion during The Holiday’s Seasons. Have you noticed that after the holiday meals, you feel heavy and bloated. Alcohol consumption is higher and water is falling. A body dehydrate creates a slowing down of the whole digestive system promoting internal blockages. 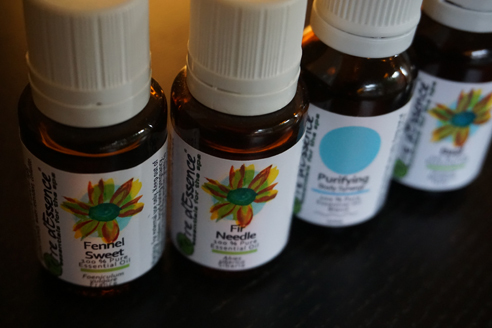 This kit of 4 Essential Oils + 1 Blend will help you have a more fluid digestion.